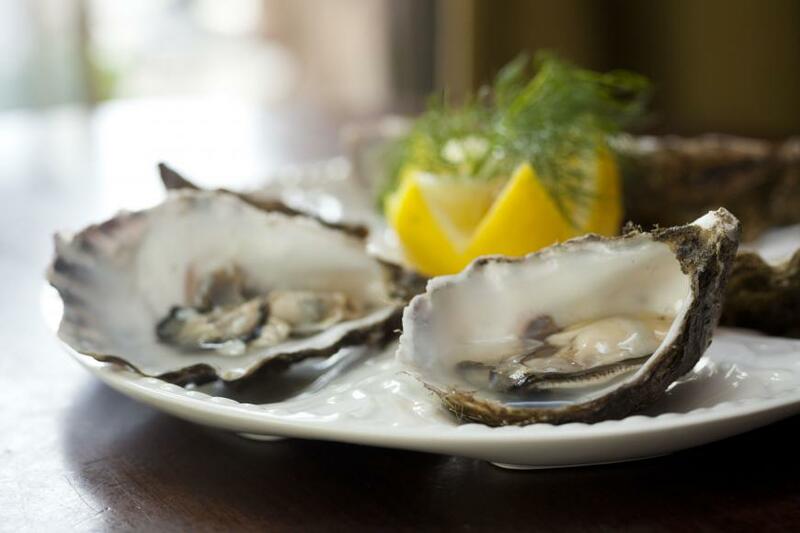 Beginning with the ‘Supporting Local Suppliers’ board at the entrance, everything about Myles and Ruth O’Brien's delightful bar and restaurant at the foot of Croagh Patrick tells a story of local food and community. 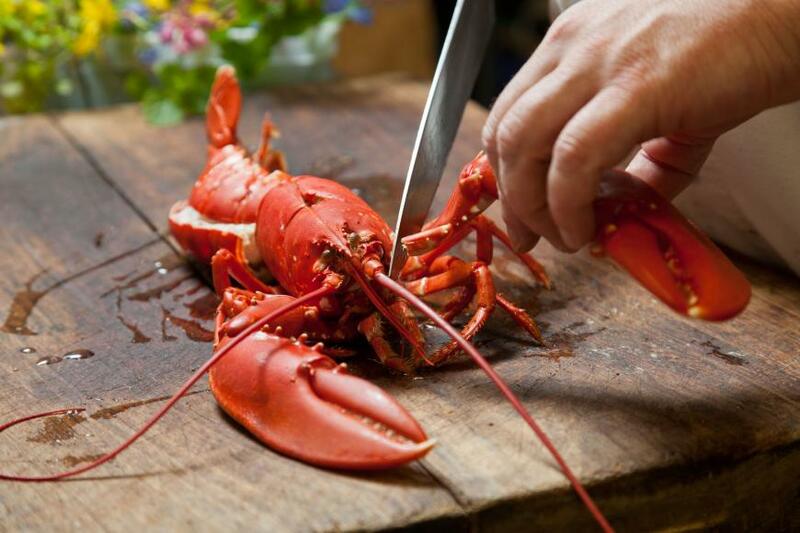 Seats 150 (+ 30 outdoors; private dining 80). Open 7 days all year; food served 12.30-9pm daily; toilets wheelchair accessible; children welcome (kids menu, high chair, baby changing facilities); vegetarian, vegan, gluten free options. Craft drinks. 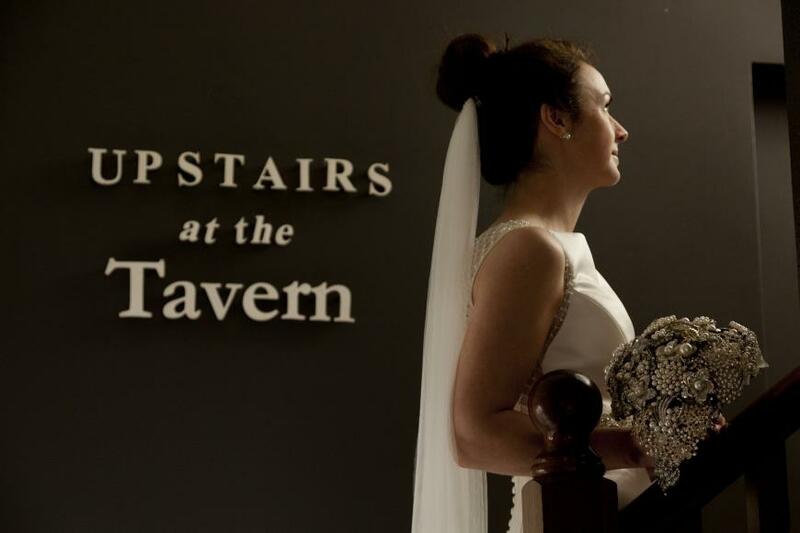 Private room, Upstairs at theTavern (80), beer garden; air conditioning; free broadband wi/fi. Regular live music sessions. Establishment closed 25 Dec. Amex, MasterCard, Visa. 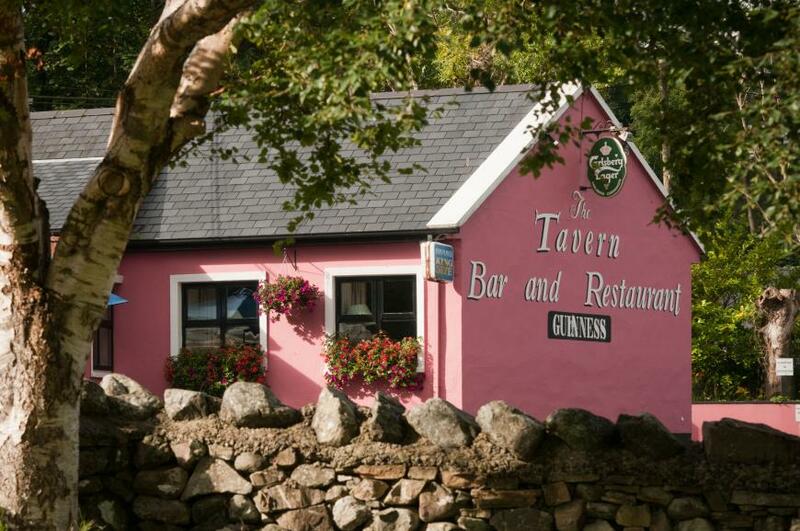 Tucked in below the soaring slopes of Croagh Patrick, just outside Westport,The Tavern is set back from the lovely tree-lined coast road – but, with its trademark deep pink paintwork and come-on-in signage, this smartly maintained premises can’t be missed. Run by Chef Myles O’Brien and his wife Ruth since 1999, it's a much-loved bar and dining destination for locals and visitors alike - and first-timers will soon see why: beginning with the ‘Supporting Local Suppliers’ board at the entrance, everything about this delightful spot tells a story of local food and community. The bar is warm and welcoming in lovely traditional way, with dark wood, local crafts, pictures and memorabilia, soft lighting and an open fire – and it’s very comfortably set up for informal dining at well spaced tables, or stools at the bar. Staff are quick to welcome arriving guests, bringing drinks and menus that offer plenty of choice for everyone.There’s a great range of local fish and seafood, of course - including Killary mussels, oysters from Padraic Gannon of Croagh Patrick Seafood and the famous organic Clare Island Salmon –Irish and local meats, notably Mayo lamb. 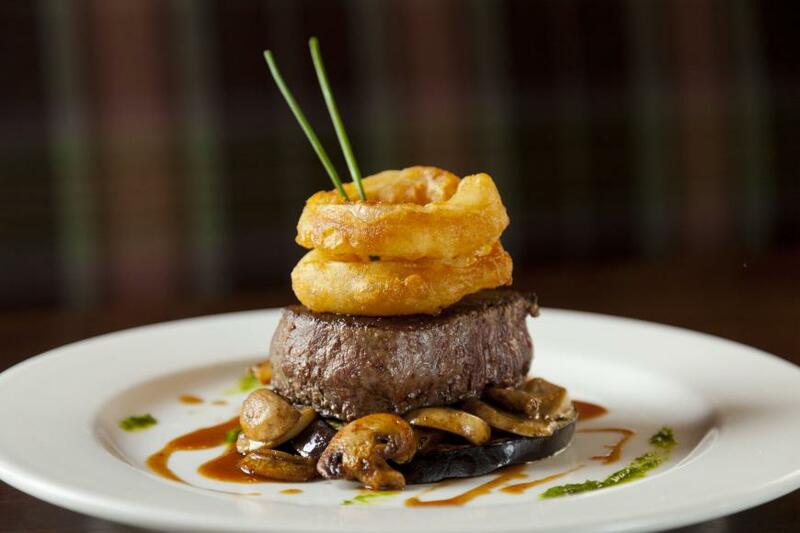 There are always a few daily specials, but regulars that you can expect to find on the menu include favourite starters like Warm Kelly’s Gluten-Free Black Pudding, Smoked Bacon and egg; Mediterranean Spiced Lamb; delicious vegetarian options such as Galway Goat Farm Cheese Bon Bons – and hearty main courses such as Lemon sole topped with crab meat and The Tavern’s legendary Seafood pie. Another highlight is the superb Beef steak and Guinness casserole; it comes in two sizes (they call it small and large, but most people would say large and colossal) and is perfect for walkers, or for anyone on a chilly day. 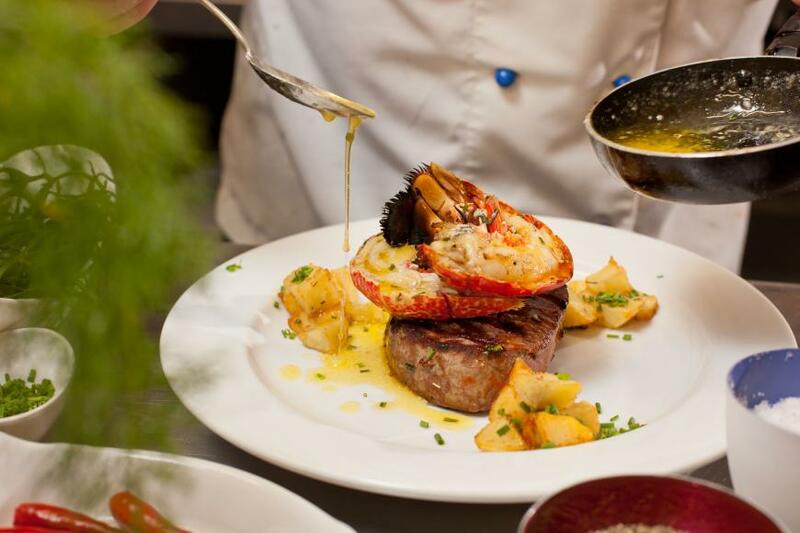 And, as you'd expect, the children’s menu goes further than the usual suspects - including several fresh pasta dishes, a homemade burger and fresh deep fried fish of the day with vegetables and mash – and other dishes are available as half portions as well. And, not forgetting that The Tavern is a pub, the extensive drinks options include a of choice of craft beers, cider and spirits as well as wines (including some on tap) and all regular drinks you’d expect of a full bar. One drink in particular, a local beer called Mescan 'after a monk who was St. Patrick's friend and personal brewer', stars on a special Mescan Menu that Myles runs in spring and autumn, along with Curry Nights and other special menu nights – there’s always something going on at this welcoming place and the well-informed staff, who are nearly all local, make sure that everyone leaves happy.